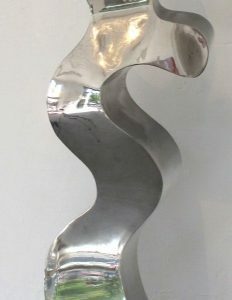 520x180x30cm. 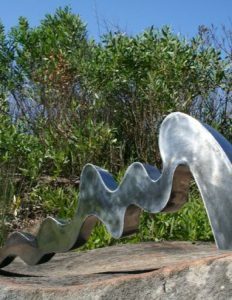 Sculpture by the Sea 2007. 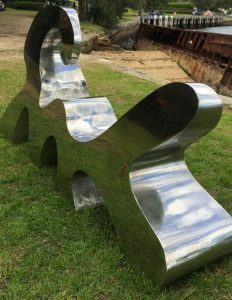 Stephen Coburn is an award winning sculptor and fine art conservator based in Sydney, where he studied at the National Art School, specialising in sculpture and painting. 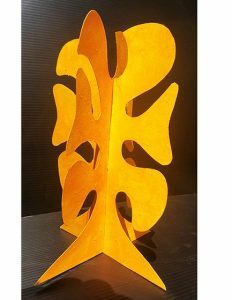 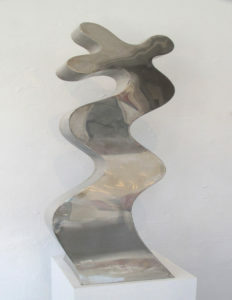 Working mostly with metal, his sculptures explore the balance between human endeavour and nature, and can vary from realism to complete abstract form or symbolism. 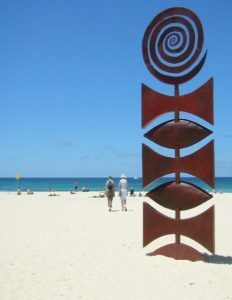 In addition to his own practice, he also runs Coburn Fine Art which oversees reparations of Aboriginal and Oceanic Art for many galleries and private clients in Sydney and around New South Wales. 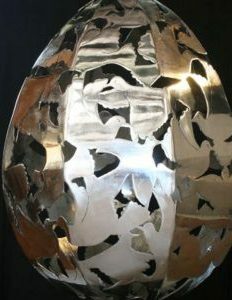 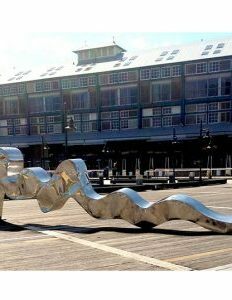 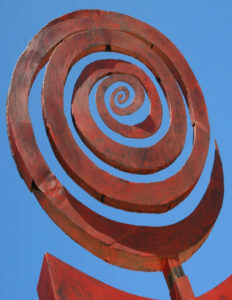 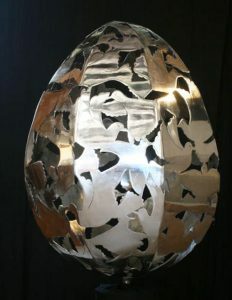 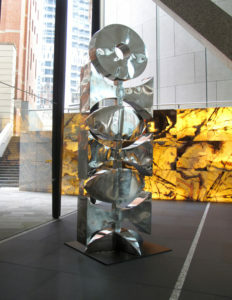 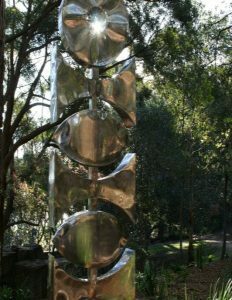 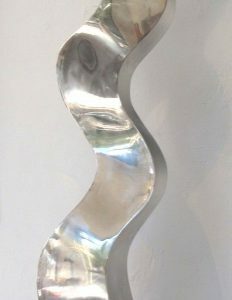 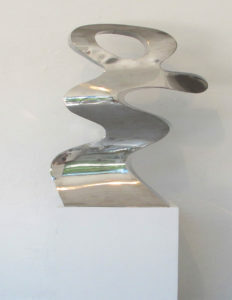 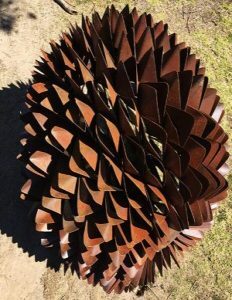 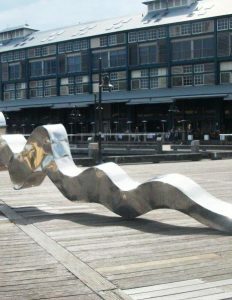 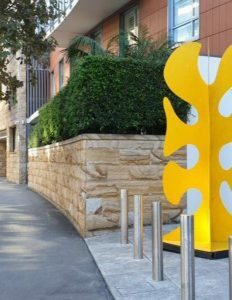 Coburn has exhibited internationally in Australia, America and Hong Kong, and won the Northbridge Art Prize for sculpture in 2009. 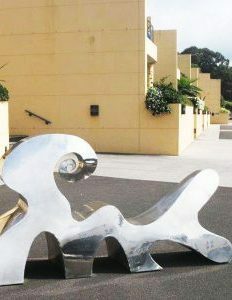 He is the son of the acclaimed Australian artist, John Coburn.